“Virtue and the Censor,” Encounter 3, no.10 (Jul 1954), 8-11 Can the censor promote virtue? ”Why I Have Changed My Mind,” News Chronicle (Manchester and London), Mar 21 1958, 4 Repr. App. 2, CSNW; RSN, no. 60 (May 1990), 24 Did Russell once urge war on USSR? * This bibliography is based on A Bibliography of Bertrand Russell by Kenneth Blackwell, Harry Ruja, and Sheila Turcon; The Collected Papers of Bertrand Russell, vols. 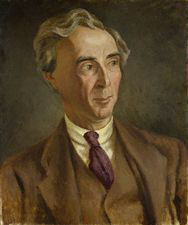 1-15, 29; Yours Faithfully, Bertrand Russell by Ray Perkins, Jr.; Nicholas Griffin’s bibliography in The Cambridge Companion to Bertrand Russell; other reference works, databases and collections of letters; and Russell’s own books and articles.